Automatic Voltage Regulator (AVR) - System allows finer voltage control for steady output and less fluctuations. Automatic Idle Control - Lowers engine speed when power is not required. Better fuel efficiencies and reduces noise. Large Capacity Fuel Tank with Fuel Gauge - Offers greater run-time between refueling and display current fuel level. GFCI Receptacles (120V, 20A T-Slot) - Construction site approved. Silent Muffler with built in Spark Arrestor - For quieter, safe operation. Wheel Kit & Lifting Hook - Includes premium 10” No Flat wheels, overall easier for portability. 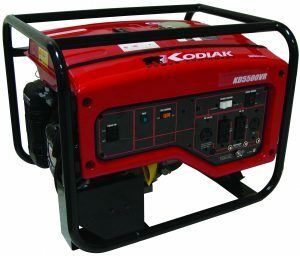 27.2" x 22.8" x 21.1"
WHY CHOOSE A KODIAK GENERATOR? 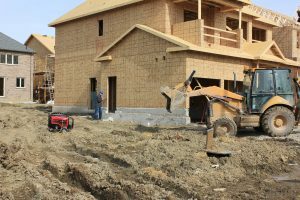 Kodiak KD series Generators are designed for construction jobsites or industrial applications. 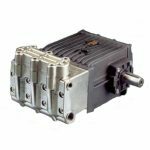 They have been designed to be durable, dependable and provide stable power when required.